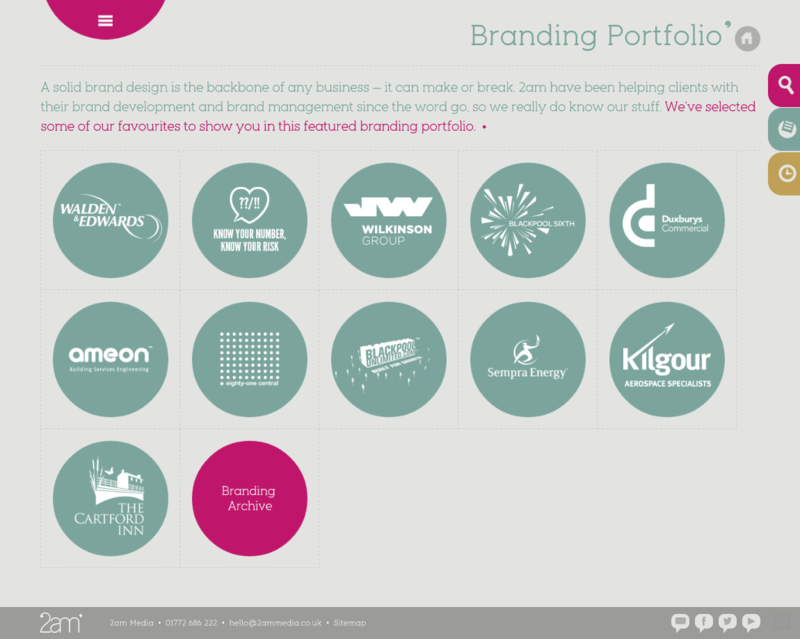 AJAX loading One Page portfolio for 2am – a design agency from Lancashire. The site means well but I feel you have to a click around a bit much to get the goods. The full screen project slide feature is pretty cool! Hello! We are 2am, a creative graphic and web design agency based in Preston at the heart of Lancashire.